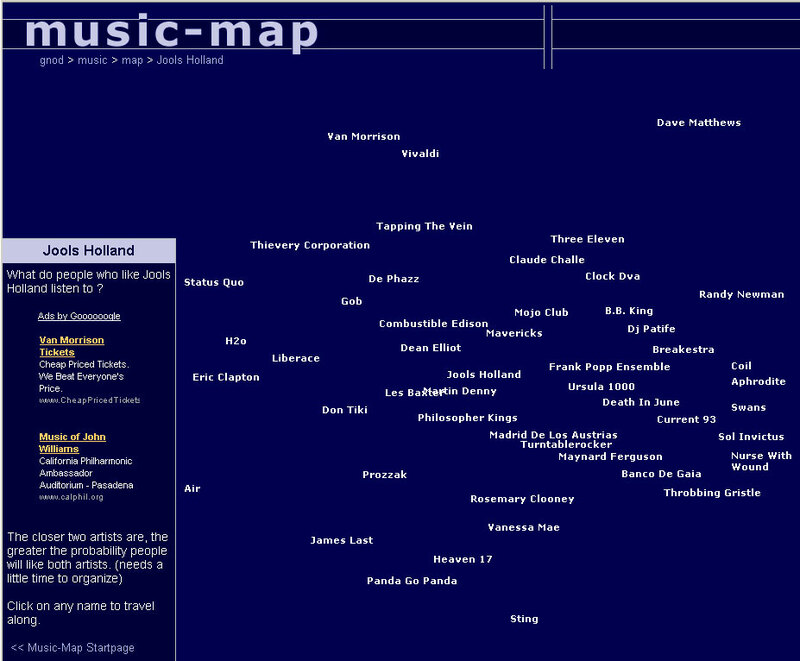 Lately I've fallen in love with Music Map. 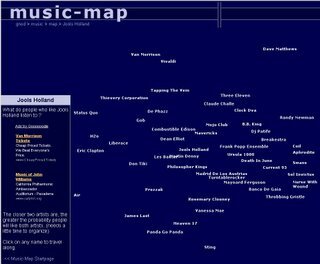 While listening to Jeff's posted MP3 Michigan, I typed "Jools Holland" into music map, and watched as similar bands gently floated from the center. You really have to see it in motion, preferably while listening to the song, but here's a still shot. This is a very fun thing, me likey alot. I typed in Jeff Tweedy first and got nothing. Then I typed in Gelnn Gould. Grateful Dead popped up. Strange! I worked my to L7.